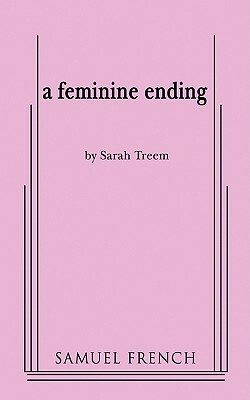 A Feminine Ending (Paperback) | The Drama Book Shop, Inc.
Full Length, Dark Comedy 3m., 2f. Various, Unit set Amanda, twenty-five, wants to be a great composer. But at the moment, she's living in New York City and writing advertising jingles to pay the rent while her fianc , Jack, pursues his singing career. So when Amanda's mother, Kim, calls one evening from New Hampshire and asks for her help with something she can't discuss over the phone, Amanda is only too happy to leave New York. Once home, Kim reveals that she's leaving Amanda's father and.